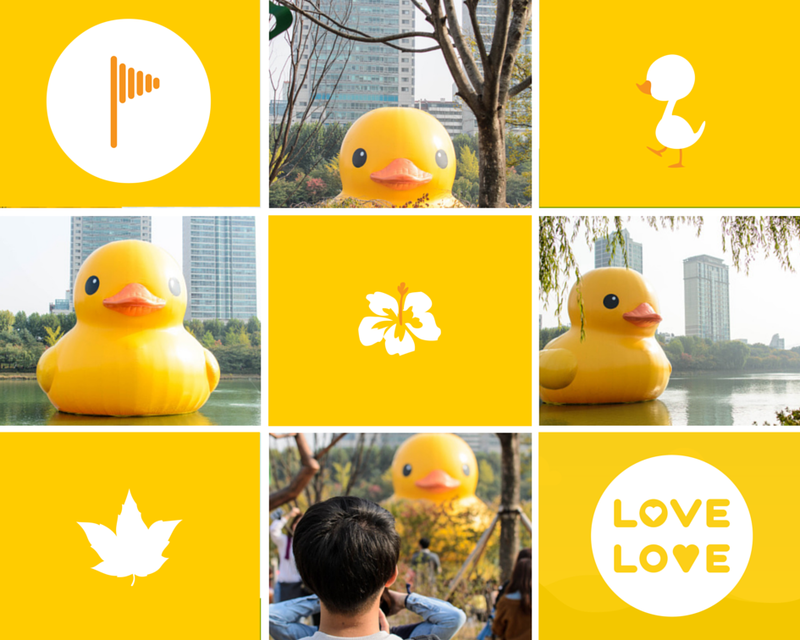 The Rubber Duck (Selfie-Bomb) Project - Experience It! 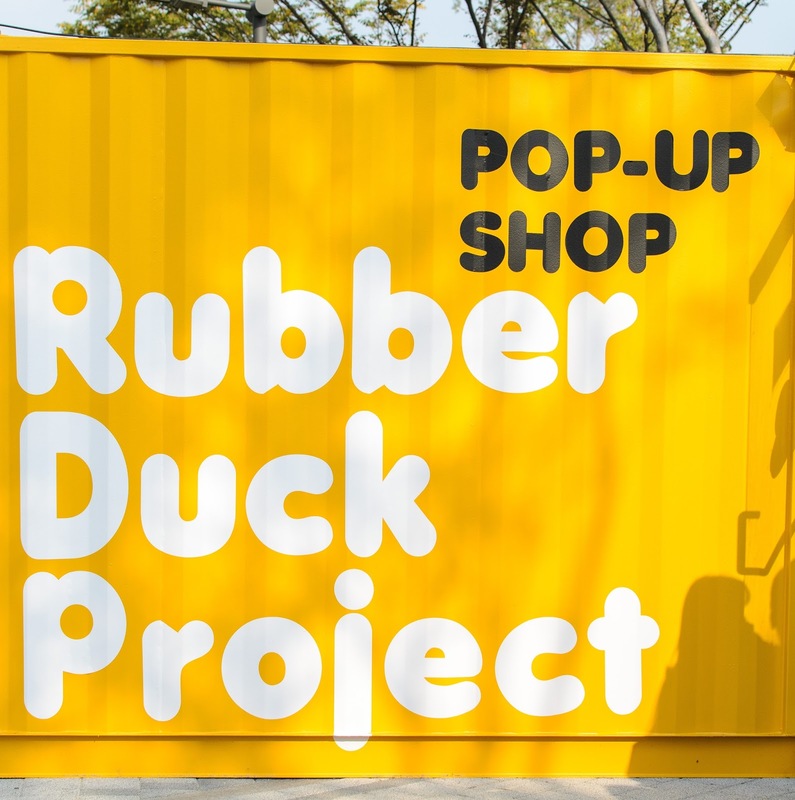 "Rubber Duck Project?" I hear you ask. 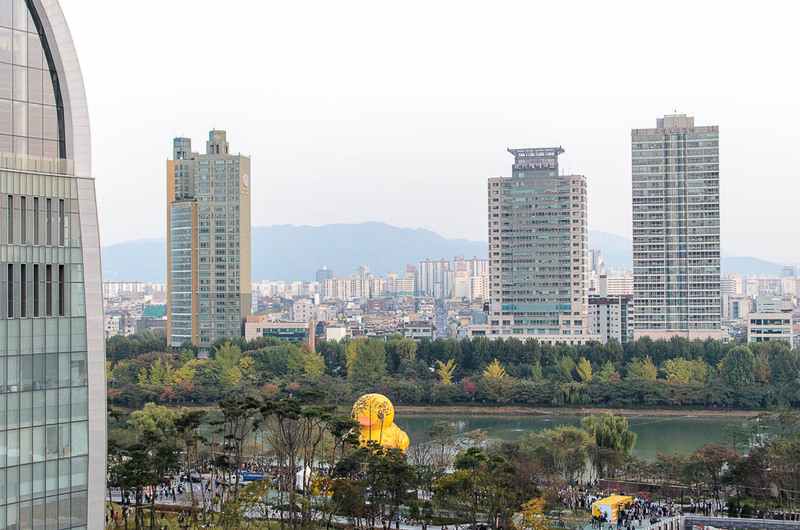 Yes, the rubber duck that you've seen all over the world, has come to Seoul, South Korea. A Dutchman, Florentjin Hofman, designed this giant rubber duck for the purpose of "Spreading joy around the world". He wanted people to remember their childhood, by putting the duck on display and also selling pins, little replicas, badges, posters and more. 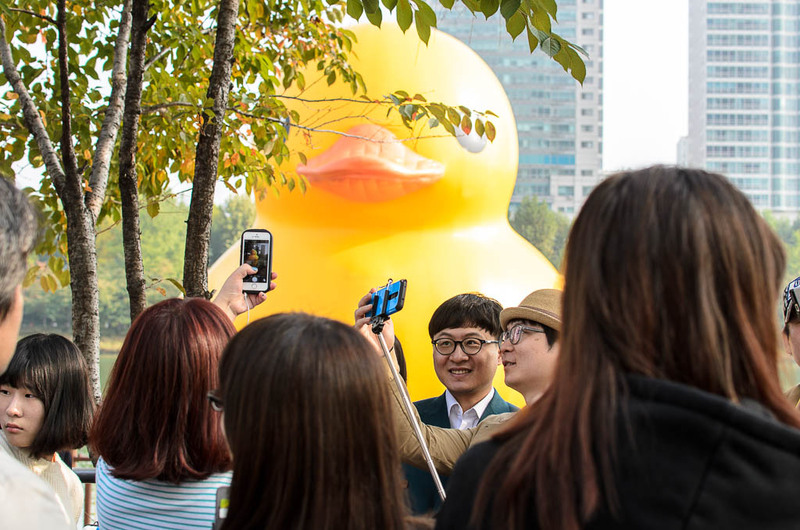 When I arrived at Seokchon lake in Seoul, I was surprised to see just how many people were trying to get a "selfie" with the duck. When I saw this phenomenon, I felt much more intrigued to take photos of the people and their selfie sticks. 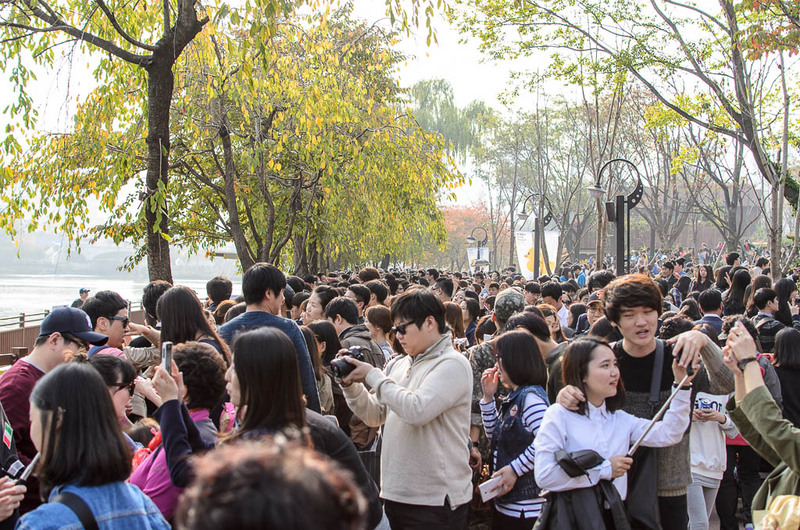 And boy, does Korea have a lot of selfie sticks. What surprised me more was, in spite of the big crowd, how easy it was to take a picture of the duck. It was quite big and everyone seemed to move in synchronization - in and out. Some people lingered a bit longer from what I could see, but it seemed to move swiftly. At one point, I found it quite funny. 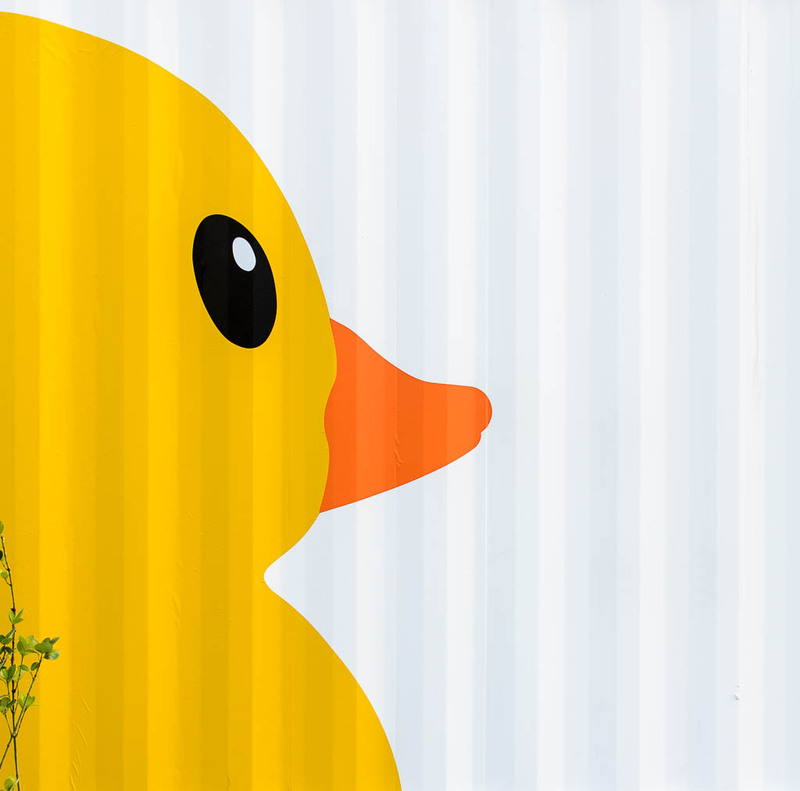 You could see only the head of the duck sticking out. This made me think of "selfie bombs". 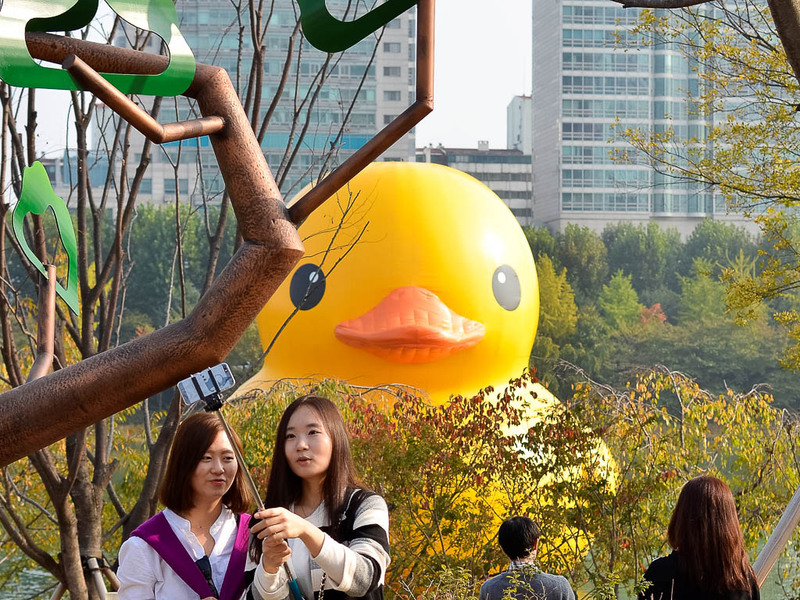 I could just imagine how this duck would jump up to be in the back of your selfie. This simple situation created by the duck, definitely put a smile on my face. I guess Florentijn Hofman succeeded in his goal to spread some joy. So here are my photos of the event. I hope that it puts a smile on your face as it did for me.